From the mind of visual artist Catherine Nelson comes a series of gorgeous miniature worlds, each one teeming with flora, fauna, and geophysical wonder. 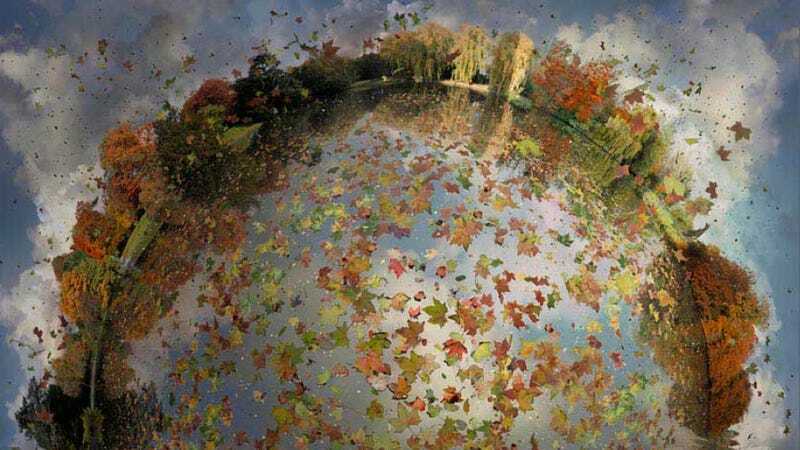 If you're familiar with the work of photographers Göran Strand or Chris Kotsiopoulos, then there's a chance you've seen this style of panoramic photography before, but we were particularly taken with Nelson's use of masterful use of image manipulation. According to COLOSSAL's Christopher Jobson, each of Nelson's pieces takes about a month to produce, and comprises hundreds of photographs. When she's finished, the result is a stunning piece of sciart, measuring about 40"x40", that is highly evocative of the house-sized "asteroid B-612" from Antoine de Saint-Exupéry's Le Petit Prince. Really, really stunning stuff. You can check out more of Nelson's work over on her website, but we've included a few of our favorites below. If you're in the area, Nelson is also scheduled to showcase her work later this year at Gallery NOW in Seoul and at CONTEXT in Miami.